What you’re putting into your body has a major influence on the rate at which you are able to recover from an injury. Whether the injury is orthopedic or degenerative, creating the right nutritional atmosphere INSIDE can affect your outward physical abilities. Too often in our culture drugs are prescribed as “anti-inflammatories”. The real question should be, what is creating the inflammation in the first place? 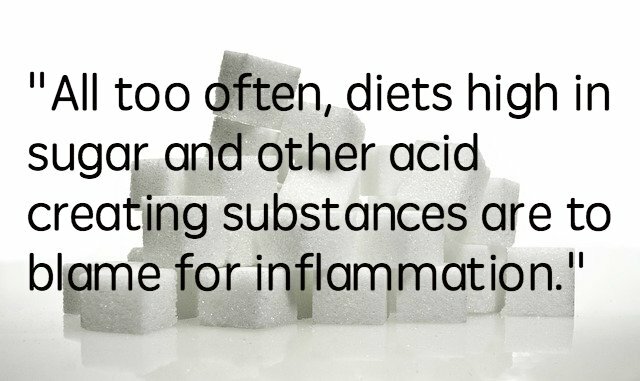 All too often, diets high in sugar and other acid creating substances are to blame for inflammation. Inflammatory conditions in the body can lead to a host of other ailments and diseases including pain, degeneration, weight problems, and habited muscular misuse that can lead to future injuries. Instead of disguising the problem with anti-inflammatory drugs, we can prevent chronic inflammation by being aware of what we are putting into our bodies. Think of your body the way you would any other living organism. Your internal climate responds the same way garden plants respond; you can over or under water, you can over or under expose. For the most part, plants and bodies thrive when the pH of the environment stays neutral. By respecting the rule of moderation and honoring our physical bodies as a system that needs balance, we can avoid and eliminate most of our inflammatory ailments. As a general rule, heavily processed foods increase the acidity in the body which leads to inflammation. Unfortunately yes, this means the Cheetos have to go. And the Reese’s Peanut Butter Cups. SUGAR is arguably the most aggressive substance we can put in our bodies; this includes sugar in the form of alcohol. Insulin regulates the level of sugar in the blood. More insulin is produced as more sugar is consumed. (Fact check: Our bodies do not need sugar. They DO need carbohydrates). Once blood sugar levels have climbed, excess sugar is stored in the muscles where it turns to visceral fat, ew. Sugar in any form (think: baked goods, white breads, condiments, even honey and agave) increases the acidity in the body, contributing to the destruction of our pH balanced internal environments. Acidosis is an easy cycle to become trapped in. The first step in breaking or preventing the cycle is to significantly decrease sugar intake. 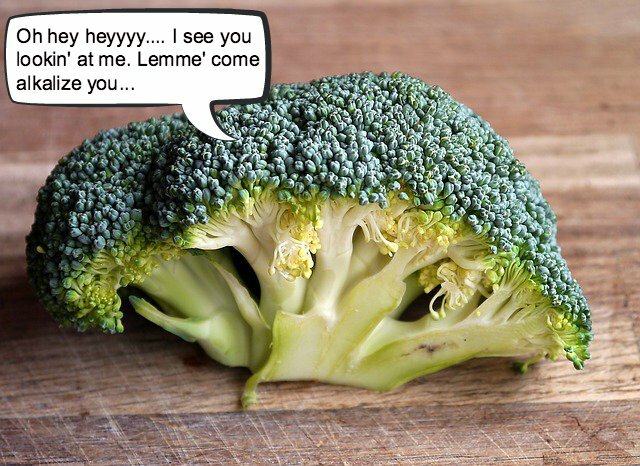 Step two is to incorporate more alkalizing foods such as spinach, broccoli and grapefruits. In addition to obesity, cancer, heart disease, yeast infections and tooth decay, osteoporosis becomes a huge risk when a diet is lacking alkalinity. When muscles and organs become acidic, calcium deposits are stolen from the bones to help alkalize these tissues. Eventually, calcium deposits begin to develop in soft, fatty tissues and the bones become weak, porous and brittle, which is the DEFINITION of osteoporosis. Just like that, one of many potential diseases is born. Each specific disease develops in its own unique way. The commonality is that they all are born of the same thing, inflammatory conditions. The breadth of diseases caused by inflammation is immense but all can be prevented and decreased using the same tools. Before reaching for a bottle of anti-inflammatory medication, think first about the internal climate of the body and what it is being fed. So, I challenge you. Take a shot of apple cider vinegar (its not as heinous as it smells, I promise), pour some out for the homies, and call it a happy, healthy, pH balanced day! Ally Arcuri is an avid yogi, traveller, writer, and nutrition guru. She offers yoga instruction & personal training for individuals of all levels at Emerald Bay Physical Therapy. To read more articles by Ally or learn more about her yoga/personal training practice, head on over to www.emeraldbaypt.com! Step on the Gas and Head to Lake Tahoe!